WiperSoft security solutions lineup 2019: What’s new? In 2018, WiperSoft celebrated reaching 2 million users, and released a partly free version of the anti-virus program. 2019 will be an important year for WiperSoft, as it will expand to the B2B market, and two major features will be integrated into the program. Since its release in 2015, WiperSoft has gained more than 2 million users. People from more than 120 different countries choose to use WiperSoft, and the userbase is growing. What attracts many users to it is the fact that WiperSoft does not ignore smaller infections. Since major anti-virus vendors tend to focus on large, widely spread infections, smaller ones are left for users to deal with themselves. WiperSoft does not discriminate when it comes to malware and deals with both small and big infections. While WiperSoft is a paid program, a partly free version was released in 2018. However, free WiperSoft has limited functionality. Paid WiperSoft removes a variety of issues, including adware, browser hijackers, worms, and trojans. Without purchasing the full version, users can scan their computers for malware and other potential threats, as well as remove identified privacy issues. 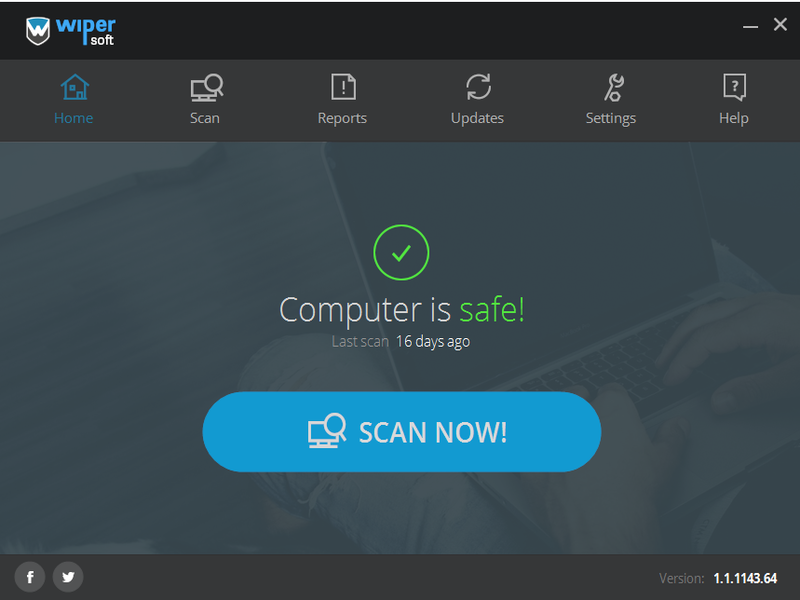 The free scan allows the user to decide whether WiperSoft can help fix whatever is going on, or if the computer is actually infected. WiperSoft developers never miss the opportunity to meet and chat with the industry’s leading specialists, which is why they often attend various conferences. In November, the Miltech Summit 2018 took place, and WiperSoft’s team took this chance to attend the event to meet cybersecurity specialists and potential partners, learn about the current trends in the industry, and engage in insightful discussions. Conferences provide an invaluable experience, and if opportunity arises, WiperSoft will also attend them in 2019. Two major features are coming to WiperSoft in 2019, ransomware and real-time protection. These two features will take WiperSoft to a whole different level and provide users with better security. In 2019, WiperSoft will integrate ransomware protection into the program. This is an important feature to have for an anti-malware program as ransomware can do a lot of damage. Once the feature is fully functional, WiperSoft will be able to detect ransomware (such as CTB-Locker, Locky, Petya, TeslaCrypt) and prevent it from doing any damage to files or the system. Another important feature coming to WiperSoft in 2019 is real-time protection. So far, WiperSoft focused on infections that are already inside a computer, but this year, users will get an extra layer of security as infections will be detected in real time. What that means is that malware will be dealt with as soon as it enters a computer, preventing any damage it may cause. In 2019, WiperSoft will expand to the B2B market. WiperSoft will start offering anti-malware protection and security solutions to small/medium businesses.